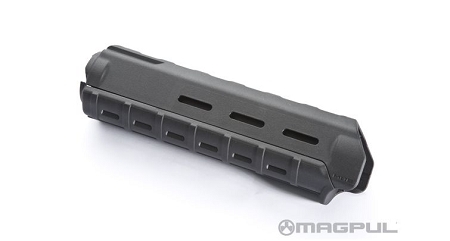 MAGPUL MOE Hand Guard for AR15 type rifles and carbines was designed with versatility and ruggedness in mind. The modular design for the MAGPUL MOE Handguard for AR15 allows secure mounting of various accessories and attachment on a weapon system. Slots along the MOE AR15 Handguard from Magpul are located at the two, ten, and six o'clock positions and allow attachment of optional Picatinny style rail sections, slings, tactical light and lasers, grips, and more. 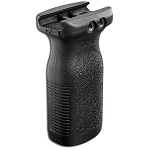 Reinforced, heat resistant polymer material of the MAGPUL AR15 MOE Hand Guard provides rugged dependability that can take on any mission. 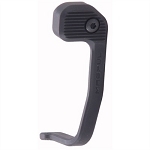 The lower lip and the front extension protects operators' hands from hot front assembly.